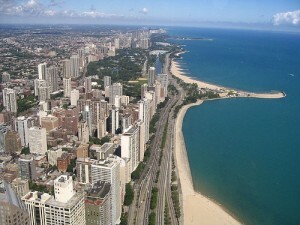 Illinois is fifth-most populous state of the United States of America. The Port of Chicago connects the state to other global ports from the Great Lakes, via the St. Lawrence Seaway, to the Atlantic Ocean; as well as the Great Lakes to the Mississippi River, via the Illinois River. At Alltown Electric Inc we serve the whole Chicago area. Get in touch with our professional electrical contractors on (847) 430-3200 for any repair or installation service. Chicago – the home of the blues and the truth of jazz, the heart of comedy and the idea of the skyscraper. Here, the age of railroads found its center, and airplanes followed suit. As the hub of the Midwest, Chicago is easy to find — its picturesque skyline calls across the waters of Lake Michigan, a first impression that soon reveals world-class museums of art and science, miles of sandy beaches, huge parks and public art, and perhaps the finest downtown collection of modern architecture in the world.